Shout says more Hammer Horror coming next year. I really really really hope this means The Devil's Bride and Quatermass and the Pit - my two favorites and totally unavailable in the US for years. There were two movies that frightened me silly back in the day. One was "Carnival of Souls" and the other was "Trilogy of Terror". The latter will finally be making its blu-ray debut come October 16th. Man, that cover itself! Still, a good viewing come Halloween! ^ It's really shaping up to be a great Halloween for catalog Blu-ray titles. Between Trilogy of Terror, the two Kolchak TV movies, Candyman, and the last two Legacy Collections - lotsa neat stuff! lhb412 wrote: ^ It's really shaping up to be a great Halloween for catalog Blu-ray titles. Between Trilogy of Terror, the two Kolchak TV movies, Candyman, and the last two Legacy Collections - lotsa neat stuff! There's also recent/upcoming Beyond ReAnimator and Dagon releases. I'm still hopeful we'll get something from the Warner Archive this Halloween (maybe some of their Hammers). Since they only announce their titles a month in advance it'll be August before we know. ^Man, if Arrow or Kino don't annouce a North American release soon I may have to import! I picked up Monster Shark aka Devilfish on BD this past week since Amazon had it on sale below $20. Watched it last night and the print was pretty damn good. I always did like this B movie from the 80s. I haven't read of any domestic releases of the German steelbooks linked above, but Ultra HD disc has not region coding, anyway. 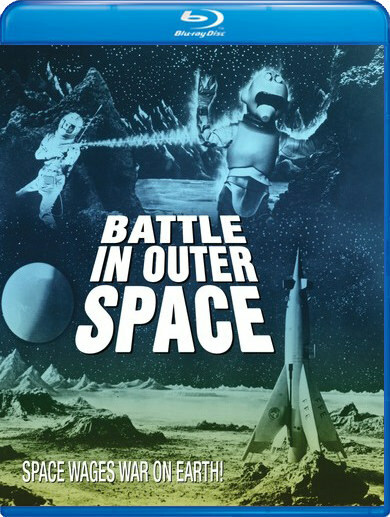 Sony's releasing Battle in Outer Space on Blu in September! It's part of their MOD line, which started out as BD-Rs but apparently has switched to pressed discs, similar to Warner Archive. Awesome! Classic Toho sci-fi on blu. It's too bad that Sony didn't just recreate their Icons of Sci-Fi: Toho Collection and deliver H-Man and Mothra as well. Although I suppose Sony will want to take advantage of Mothra being in the upcoming Godzilla movie to release MOTHRA in a solo release. I'd say a pressed disc is assured: you're not allowed to use the Blu-ray logo with a recorded disc. Previous Sony recorded discs had the blue cases but lacked the logo. Is this an "archive collection" offering from one of the studios? Where did you find this? Last edited by JimPV on Tue Aug 14, 2018 1:51 pm, edited 1 time in total. Read it on Blu-ray.com forums. It was one of several announced titles. Release date is September 25th. This is Sony's equivalent to the Warner Archive; they started with recorded discs a while back (much to the dismay of videophiles) but have recently switched to pressed discs. It'll be available from online retailers but not a regular retail release, just like the Warner Archive titles. I think my DVD for BiOS may suit me just fine. lhb412 wrote: Read it on Blu-ray.com forums. It was one of several announced titles. Release date is September 25th. lhb412 wrote: Shout says more Hammer Horror coming next year. I really really really hope this means The Devil's Bride and Quatermass and the Pit - my two favorites and totally unavailable in the US for years. I agree! Top tier Hammer. A region A release for both would be much appreciated. Re: the BiOS release: this should be fun. 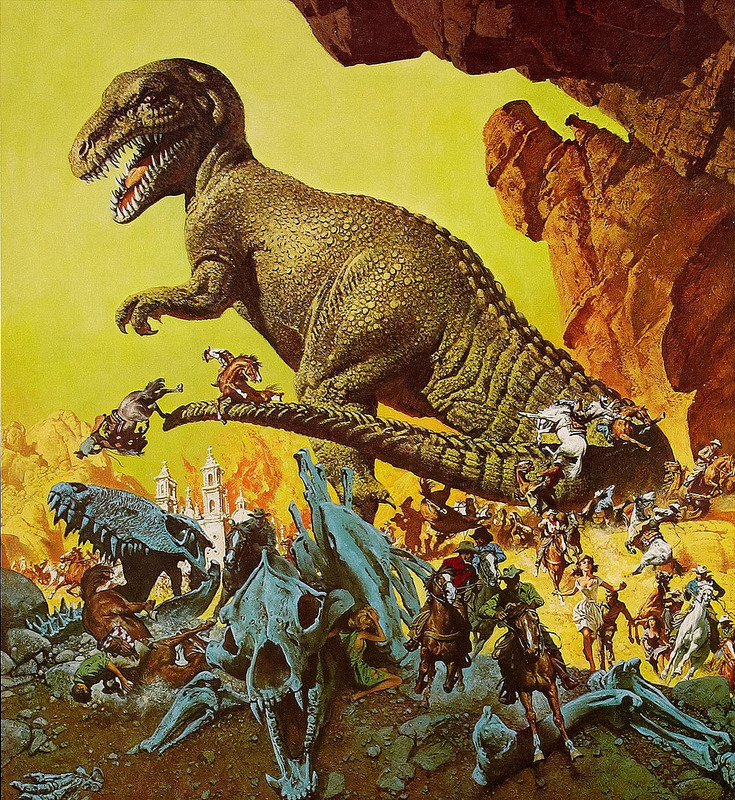 One of Tohos most frenetic, FX filled extravaganzas. A blu will be very cool. I love Quatermass and the Pit. I'd be down for that big time. Olive is re-releasing their OOP Invasion of the Body Snatchers '58 on Blu-Ray as part of their Signature Edition line, which tend to have a nice assortment of extras compared to the bare bones releases the company started off with. I was hoping they'd give the movie this treatment. I held off on the original release for that reason. So Kino is supposed to be releasing The Legend of Hillbilly John fairly soon I think the end of the month unless it gets delayed and I was wondering if its worth picking up? I've never heard of the movie until just recently so I just don't want to blind buy the film and be disappointed. ^I'll be picking up the film when it's released, as I'm a huge fan of the original stories it's based on. That being said, I hear the movie is not all that hot. If I were in your shoes, I think it would better if you tried to seek out some of Manly Wade Wellman's original John the Balladeer stories in print first. Collections of those original short stories have been published under several titles: Who Fears the Devil?, John the Balladeer, and (the leather bound copy I have) Owls Hoot in the Daytime. For those who're interested.. the new Kino Lorber hi-def remaster of DEEP RISING is well worth the money. Always been a big fan of this film and thought the Mill Creek double feature BD might have been its only chance at a hi-def release. Thankfully, Kino stepped up to the plate and hit a solid home run with this new Blu. Some great special features are included and, most importantly, the film itself is the best its looked perhaps since it hit theaters back in '97. Not sure if Kino actually did a 2k scan as promised, as that notation was dropped from their DR webpage some time prior to the actual release. Regardless, the picture & sound are great! (2.0 is Lossless now, plus a spiffy 5.1 for home theaterphiles.) Lots of picture detail missed in all previous incarnations really pop on this one. No more overly dark murky shots/scenes. Only real bummer is no interview with Treat Williams or Famke Jenssen. Also didn't care for the new cover art, but it's reversible, so no biggy. Hells yeah! I'm certainly in for a Crimson Peak special edition! still holding out hope for alligator and prophecy the monster move to get blu ray.